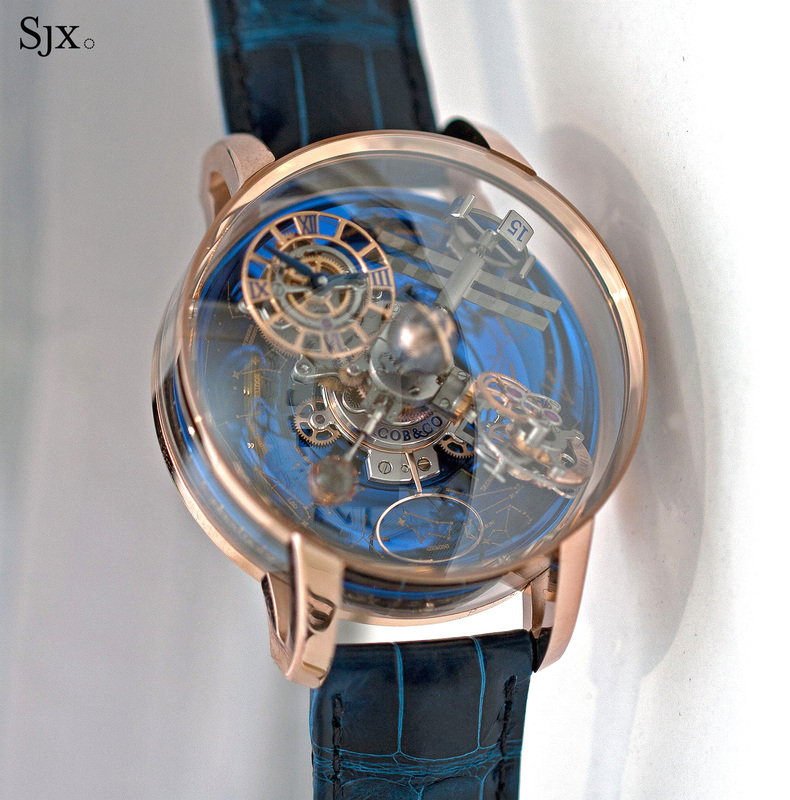 An impressively three-dimensional timepiece that indicates the time and the movements of celestial bodies. 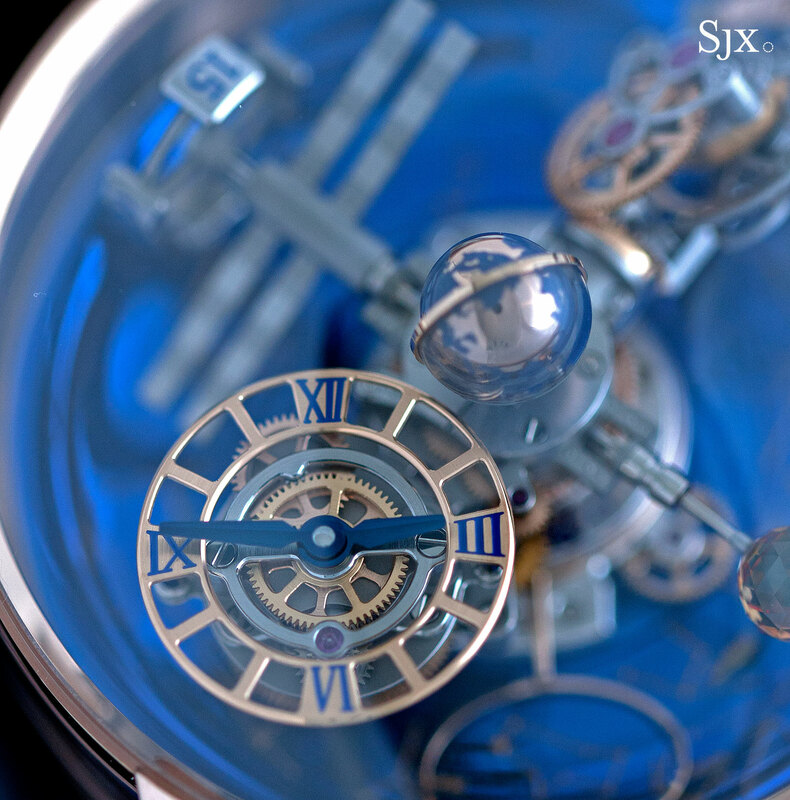 An even fancier version of the extravagant original, the Jacob & Co. Astronomia Sky is a huge wristwatch with an exotic, three-dimensional display for both the time and astronomical indications. 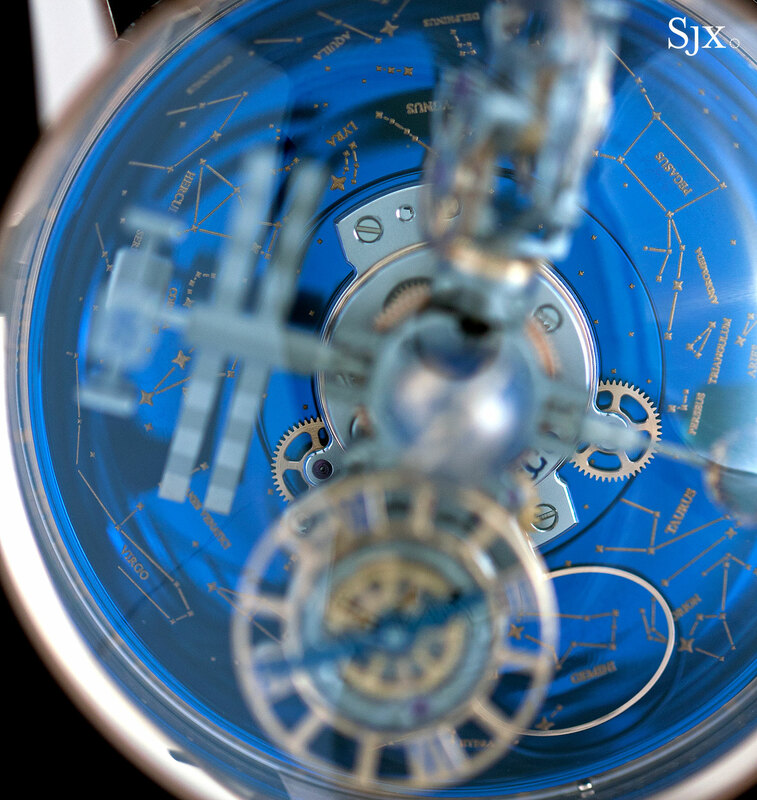 Though the American jeweller is best known for its bejewelled multi-time zone watches that have little technical interest, the Astronomia Sky is a mechanically intriguing timepiece, built by complications specialist Ateliers7h38 founded by Luca Soprana and Christophe Naudin. Practically everything visible on the front of the Astronomia Sky moves, at speeds ranging from one revolution a minute to one a year. 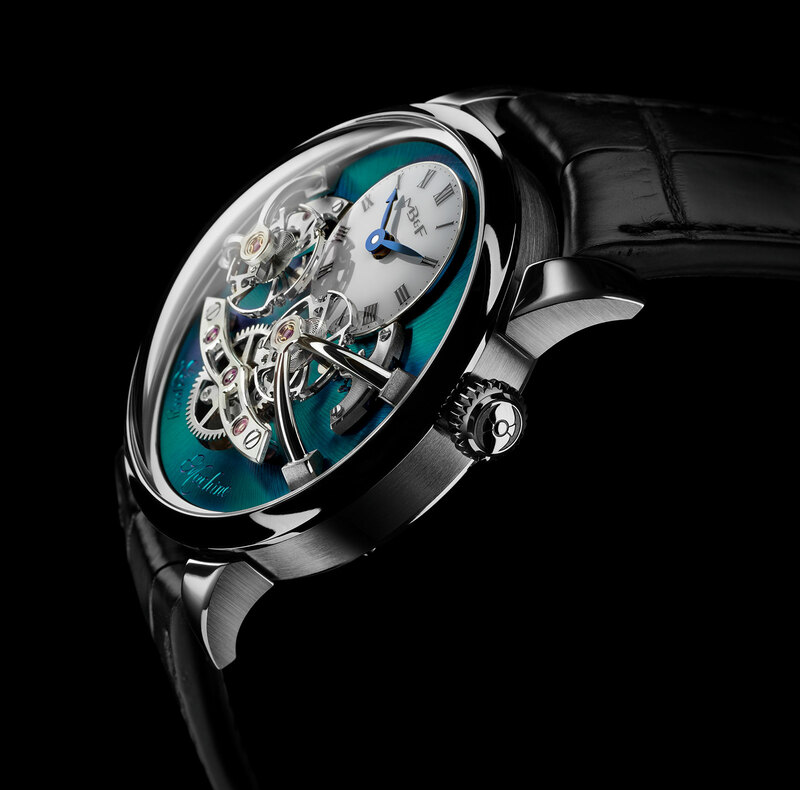 The brilliant blue titanium dial at the very base of the face makes one rotation a year, being an approximate indication of sidereal time, or the time it takes the Earth to make one revolution around the Sun. 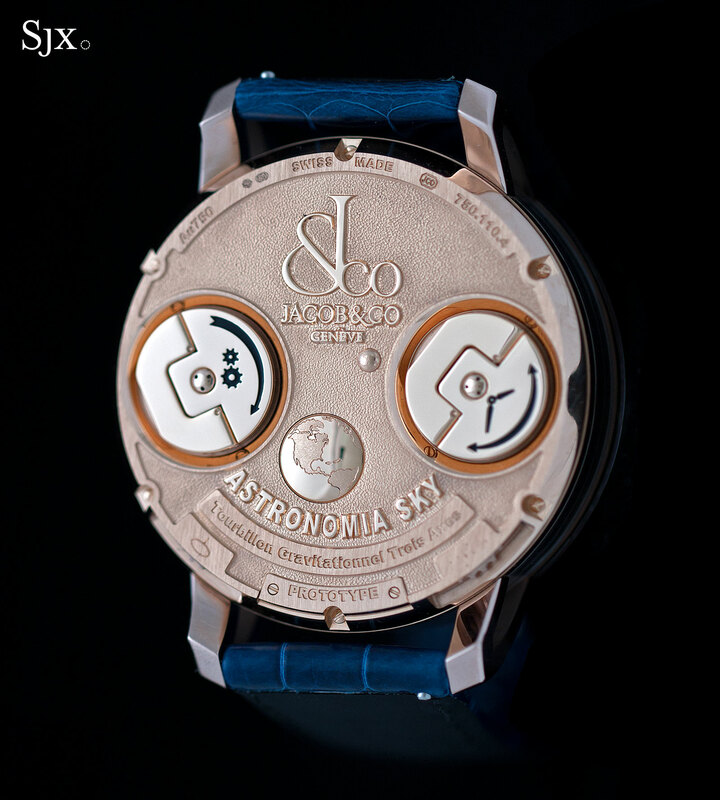 Over the blue dial is a gilt-edged oval that travels over the constellations and stars, showing the portion of the sky visible from the Northern Hemisphere at that point in time. 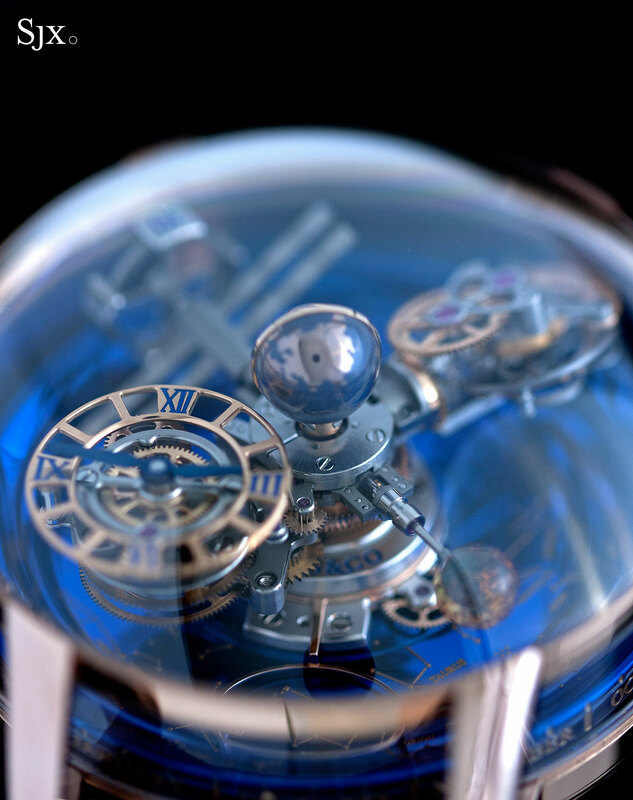 And on the edge of the blue dial is a month indicator for the perpetual calendar. The globe in the centre is lacquered titanium and functions as a day and night indicator. 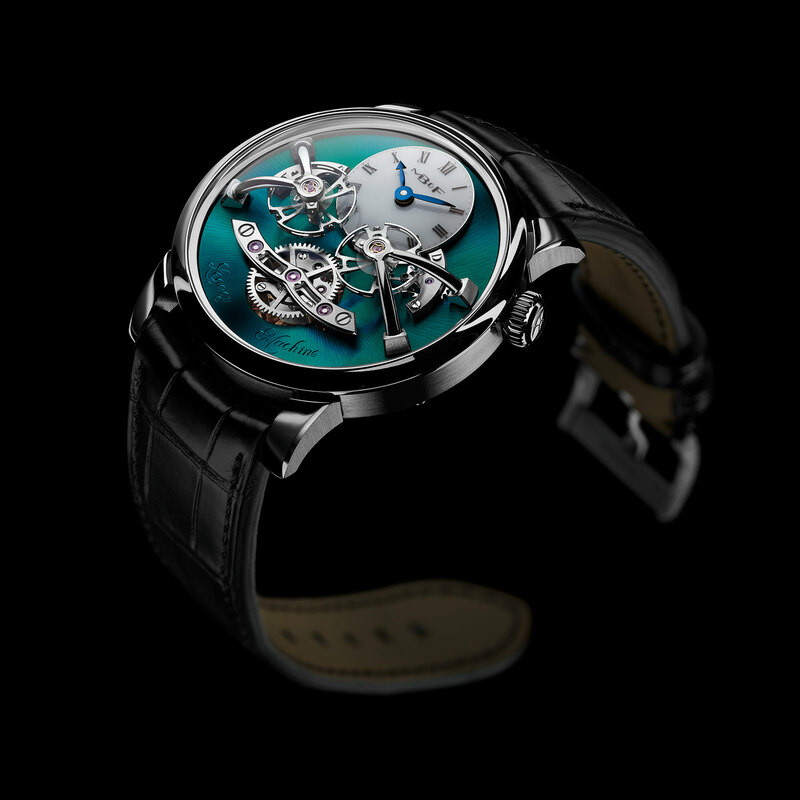 From the central axis four arms extend out, each carrying a different part of the mechanism; the central axis makes one revolution around the dial every 20 minutes, moving the whole mechanism along with it. 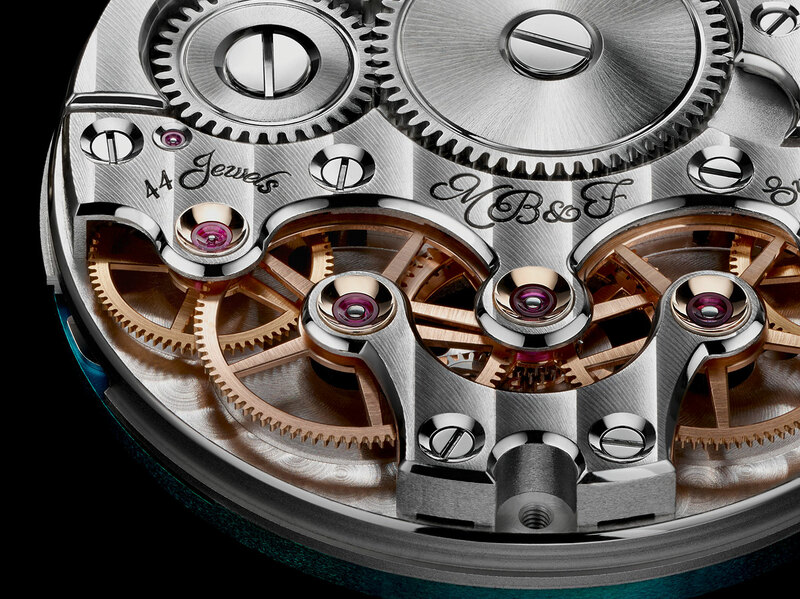 The hours and minutes are on a sub-dial that’s mounted on the third arm, which also contains a differential system. That ensures the sub-dial is always aligned vertically relative to the face of the watch, even as the central axis makes it 20-minute rotation. 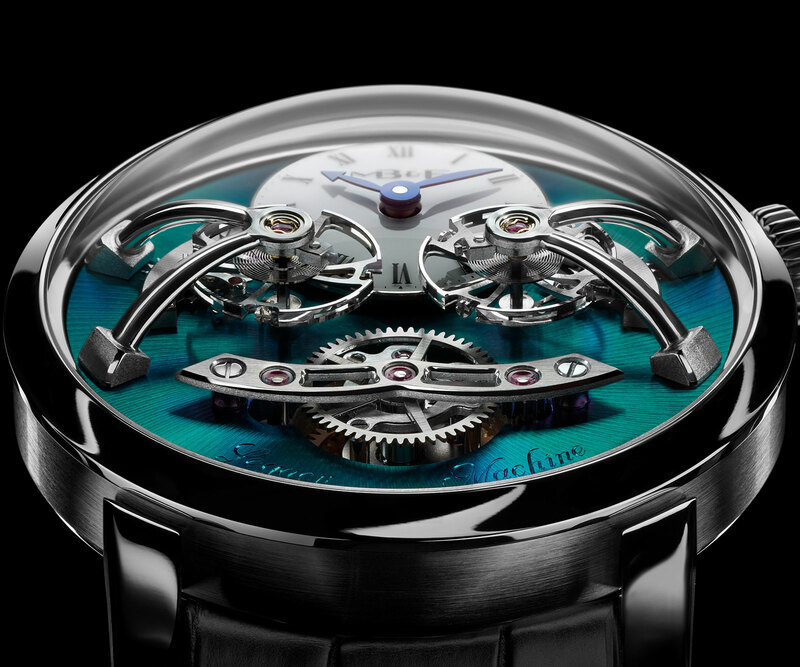 Opposite the time display is the triple axis tourbillon that has two cages rotating at 60 seconds and five minutes respectively; the final axis is the 20-minute rotation of the central axis. Another arm carries the “orbital seconds”, which is essentially a wheel-shaped seconds hand that resembles a satellite. 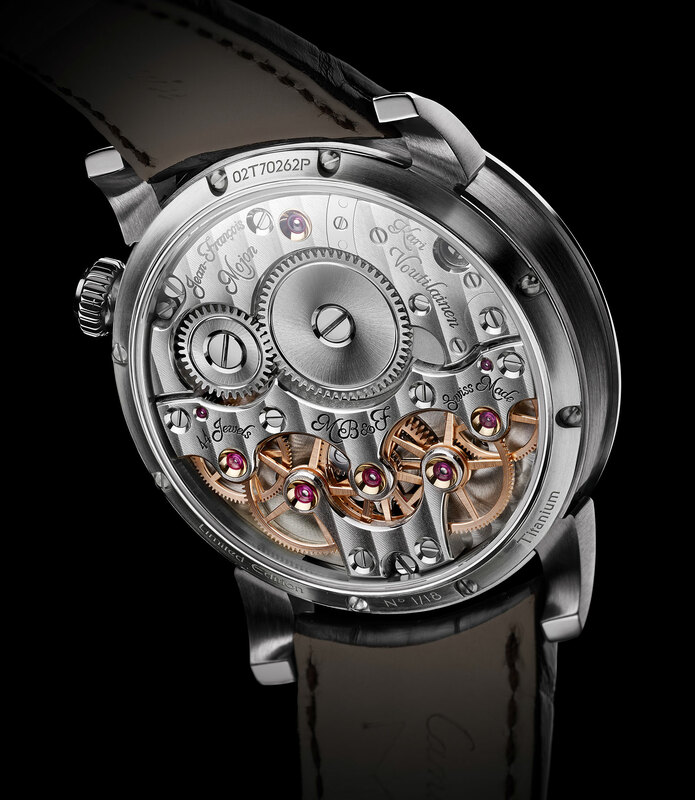 The other end of this arm is attached to a 1-carat orange sapphire that likewise makes one rotation every second. The size of the display means the watch is enormous, 47mm in diameter and 25mm thick, but one offering panoramic views of the movement. 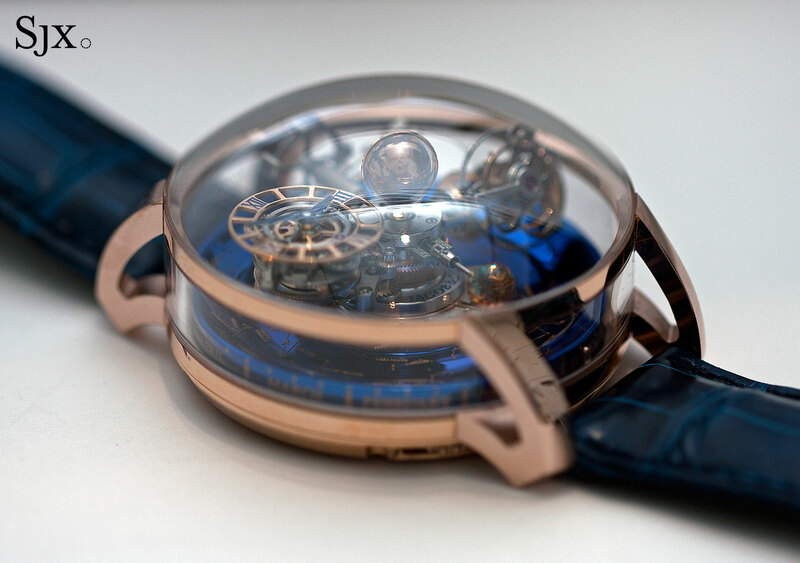 Because the rose gold case is more of a frame, on which large sapphire windows are mounted, the movement is visible from all sides. On the back a pair of pull-out tabs each control winding and setting. On full wind the watch will run 60 hours. 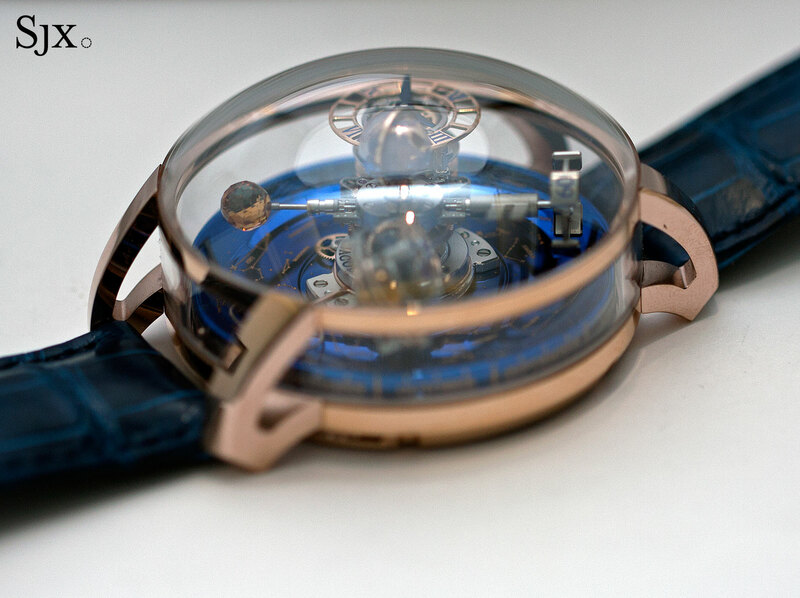 The Astronomia Sky is limited to 18 pieces, priced at SFr680,000. Correction February 20, 2017: The Astronomia Sky movement is the work of Ateliers7h38, not Studio7h38, as written earlier. 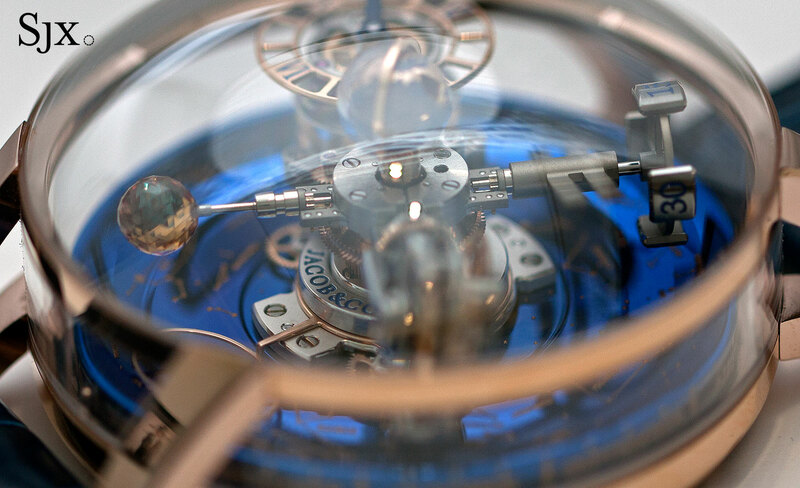 Studio7h38 was only responsible for the design of the original Astronomia. 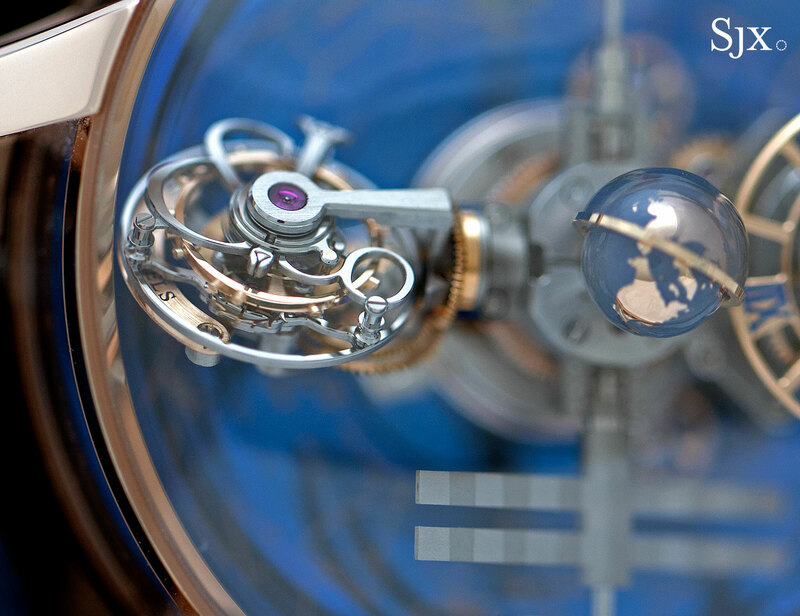 Equipped with impressively constructed movement that rises upwards and outwards, the Jacob & Co. Astronomia is a double axis tourbillon, a complicated watch with a brash dose of showmanship. Here's a look at the timepiece, with original photos and pricing.